Do you remember the song...."Billy Boy"? You can hear a lovely, very cleaned up version here. Wait though....a quick warning! If you listen you will be singing and humming it all day. Better to listen at night and then quickly go to bed. Hopefully you won't remember a thing in the morning. A much more fun version is here. Why all hoopla about a song? Out in the country, we get "cast off" pets. The ones that don't work out well for other people. They drive their pets out to the country and drop their dog or cat to "live off the land" so to speak. We have 4 cats...one male who was dropped off in the dead of winter about 7 years ago, two feral male kittens found in our hedge row during a 4th of July party 10 years ago and this one pictured above who showed up last winter starving. Dave (my husband) named this one Henrietta. He worked hard getting her to tolerate him sitting near while she ate. Then one morning he came in and told me she was really a he and changed his name to Henry. So we have 4 male cats....it can get pretty hostile around here. I went back inside and told Dave, "I'm afraid Henry needs to be called Charming Billy and we better take him to the vet and get him fixed!" (And by "we" I really mean Dave.) Henry's still pretty skittish though....My husband doesn't think he could pick him up for long. But Henry better go before there are more cats to feed. Barb and I are taking a "working" vacation this next week. We are going to Gulf Shores, Alabama. We will get up early look at the beach and quilt or stitch the morning away. In the afternoon we are out in the sun....and then back to work in the evening. My skin will look like a leather suitcase when I return home! (I can hardly wait!!!) We will report this next week from the beach. Pictures and fun info. from Barb to follow soon. If you write "quilt" in the comment section and you win, you can have your pick of one of our quilt books published by the Kansas City Star. If you write "cross stitch" in the comment section and you win, you can have 1 each of the retired loose feathers from our first year (2003) 6 patterns in all. If you write "cat" in the comment section you will automatically win 4 Tom cats! I will personally drive them to your house! Cross stitch sounds like a good word. Definitely cross stitch for me! I did some "Quilting" today, just a scrappy quilt, but was fun and relaxing. Have fun on your trip. Oh this is really hard...I love all your books and patterns! Retired patterns would be awesome but I love your quilt books so much....ok....here I go....QUILT! Cat woops no I meant cross stitch please count me in the draw. I would like to cross stitch cats on a quilt. Hmmm, I love all three but cross stitch is what I'd like to win! I have 2 *kitties* already. ps I am so glad you have given these poor abandoned animals a home. I guess you guys are cat *oops* Kitty Angels! Better say QUILT! Hubby would never go for the cats! Cross Stitch and Cat. Seriously if I lived within driving distance I would totally help rescue abandoned kitties or doggies or whatever. Don't laugh :) I once rescued a snapping turtle. I live in the country and know exactly what you are talking about. That is really great of you to help those cats. Love your blog and cross stitch! Thank you for your generosity and a wonderful blog full of pretties! Quilt...though I'd like to say Cat! Thanks so much for having another give-away. What a sweet sweet 'boy' Henry is! It must be QUILT! Enjoy your trip. I will say cross stitch, but it is a hard choice. Have a great trip and thanks! Cross Stitch-though a cat would be nice. Butttt, my landlord would beg to differ. Please put me in your draw. LOL, I eat, sleep and drink "QUILTS". It is the best therapy! No "C"-"A"-"T"-"S" please, I have four dogs. Cross stitch is so much fun! It's tempting to choose "cat", though. If you came to my house to deliver cats, I'd love for you to give me decorating advice while you were here. It's a tough decidion to make between quilt and cross stitch! Definitely cross stitch (although cats are tempting!). Enjoy the sun and surf! Quilt or cross stitch that is the question !!! Thank you for the contest, it's so kind of you! My first option would be CAT, but you will not be willing spending thousand dollars for shippement to Israel, right ? So, please add me to the CROSS STITCH list, please. I'm not a lover of the C word with 4 legs, so I'll choose the other C - my passion in life, cross stitch. QUILT.Please....Love your story on your Feline's...Enjoy your stitching time away...sounds Heaven..
Cross Stitch - is what I like! What a wonderful contest...but tough to choose. OK definitely no cats...allergies and all...and if I must choose then...quilts! Thank you for the opportunity & happy vacationing to you both. I am so tempted to write the feline word - but I don't think it would go down very well with our spoiled rotten male named Freddie - so I will have to pass on that one! Quilt, please - and thank you, I love your blog. I LOVE all your 'cross stitch' designs. I love cats too,are you willing to drive to Australia to deliver them? Thank you for all the fun, and please count me in! Gosh - Charming Billy brings back to mind the "Little House" series as it's one of the songs Pa would play for Ma when he was feeling cheeky ... I loved that series of books! Please enter me in the cross stitch draw - thank you very much! I would love to win one of your QUILT books! Hard choice, hmm, CROSS STITCH please! Cross stitch still is my favourite word, altough I would like you to drive by to deliver the other 4 furry things, but I hihgly doubt my Irish Wolfhound would tolorate them. Have fun at the beach!! Can I choose cross stitch please?? I'll play along and say quilt, but you know I'm tempted to say cat just to see you bring 4 cats to France LOL!!!!!! Quilt it is for me!!! Hope you are well, actually knowing you'll be having fun and work at the beach sounds heavenly!!!! Take care both of you!!! PS: meeting you in Nantes was great and I still treasure the moment!!! Cross Stitch :) Thank you ! Quilt!Quilt! Have a nice trip. oh Alma this is a fun contest!!! You're so good to feed Billy and the others. I have a stray c*t Gaston who looks a lot like him. Quilt, quilt, I want to win! I love the Charming Billy song! :D I would like to write "Cat" here but (1) my husband might actually leave me if I did, and (2) it's not possible to drive here from there. LOL. So I will write "Cross stitch" and keep my fingers crossed (when I'm not stitching, that is!). And...maybe you have a cat that likes you better than their owner? We had a cat once that would disappear for long stretches, then one day we picked him up off our front lawn while our neighbour from down the street was walking by - he said, oh! is that your cat? I thought he was homeless!! Turns out the neighbour was "sharing" our cat. Quilt though I love both!!! Your Henry is so handsome (I love tabbies). Have a great vacation, it sounds idyllic. Cross Stitch for me too! I've got one of your books, but could not have enough! You folks are my favourite! You inspire me with your QUILT patterns! cross stitch please although the cats are very tempting!! I am so not into cross stitch or felines but I do love to quilt! Good to see that these poor moggies have found a home. And I love the story of living in the country, getting all the strays!! Same thing here!!!! I'm torn between the cross stitch and the quilts, but in the end, since I already have quite a few of your cross stitch patterns and NO QUILT patterns/books, I would choose the quilt book. Please pick me!!! I'll take a cat, I mean quilt! I love to cross stitch & your patterns are wonderful. Sounds like a fun vacation. Quilt! Hope you and Barb have a great working vacation! Thank you very much. And my 3 rescue cats thank you, too. I quilt, cross stitch and I love your blog! But if I have to chose one, it would be CAT, so I would meet you again. Love the picture of Henry eating! are all of these outside cats? I adore cats and cross stitch! Your patterns are awesome! Cross stitch would be awesome!!! I am loving your cross stitch stocking patterns. One done from January and many more to go! I love a cat and cross stitch! Quilt please! Love the blog! Have a great vacation! Cross stitch but I love all the things you do. Have a good trip. My choice has to be Quilt. A quilt book would be great to win!!! Please make mine cross stitch...I've got all your quilting books....I can't wait for the new one due out this month, I hope??? Have a great vacation! I would have to say Quilt as I already own all the Loose Feathers patterns. So hard as I love both! But I'll say Quilt. Cross Stitch because I like to cross stitch and out all my wurries in every stitch. CROSS STITCH. If I shout and jump up and down does that increase my odds of winning? Thanks for your lovely work and enjoy Alabama! For me it will be QUILT can's wait to see your new book. Cross stitch. thanks for these great contests! Oh which one, which one. Okay, cross stitch! NO CATS...have two girls and a boy. Would have to be "Cross Stitch" for me, though if you have any of your fabrics to give away, I'd rather say "Fabric" as my collection isn't complete! 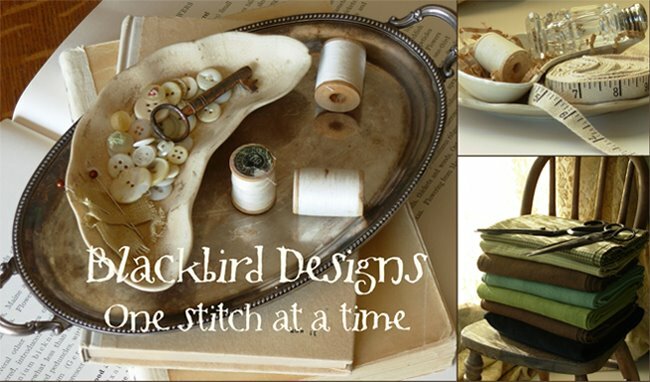 ;-) Can't wait to see the next new releases on both cross stitch & your fabrics! Thank you for another wonderful contest!! For me it's all about the QUILT. I am on a QUILT kick lately...and would love a new book! I am tempted to say C.A.T. just to see if you would drive them all the way to my house but I think that our two would not appreciate sharing their home. Soooooo, the word is cross stitch. Cross stitch... or quilt... or cross stitch... or quilt.... Help! I can't choose!!! Will you please, make a decision for me? Thanks! I love cross stitch and CATS!!! I am owned by 4 furry felines, who showed up one day in our barn and decided to stay. Quilt, I don't think my two dogs would approve of four new housemates! Cross stitch is my thing. And please NO cats. :) There are way too many in my neighborhood now. As well as one in my house. :) Along with a number of cross stitched cat and dog pieces. "I made a little quilt with a cross stitch label...I sure hope my cat does not scratch it while on my quilting table!" Cross stitch for me please. Thank you. I would love the chance to meet you, but I am not saying that "C" word!!! Cross Stitch! My favorite thing to do. Although I enjoy both, I am going with cross stitch today please. CROSS STITCH for me please! Cross Stitch for me! thank you! Quilt please and thank you! Would love to have a quilt book! Sweet contest...I say cross stitch for me...thank you. Well since I have a lot of your quilt books (except for the first ones that are out of print) I will try cross stitch! I just started the beautiful quilt in your last book! Thanks for all the beautiful pieces. I'm so glad to see the stray cats are loved and cared for. I'd love cats and cross stitch, but my one girl kitty is a very nervous and shy kitty - she doesn't tolerate change or people (and especially other kitties) very well, so cross stitch it is please! Wow! 170 comments already!! I would love to win either...but since I've just gotten back into cross-stitching...cross stitch it is!! Oh, that is a very hard choice. Cross stitch! cross stitch...but I really like cats. Cross stitch!! 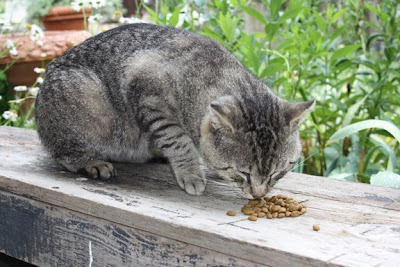 Would love the cats, but we also live in the country - I have six that love me for my food! Thanks for having another contest! Enjoy your time at the beach. Have a wonderful time at Gulf Shores!! Take a break from stitching and grab a meal at Lulu's. :) Yummy! Cross stitch please! I'm working on the 'Trick or Treat' quilt at the moment. Great blog! Cross Stich! Thank you so much. Cross stitch is a fun and wonderful thing!! Thanks for a fun and wonderful blog! blog. Always interesting. Please no cats, we also live in the country and now have about 20 cats. Have a great quilt vacation!